Submit your assignment to Turnitin via Blackboard. IMPORTANT First ensure you have your assignment saved in PDF format. 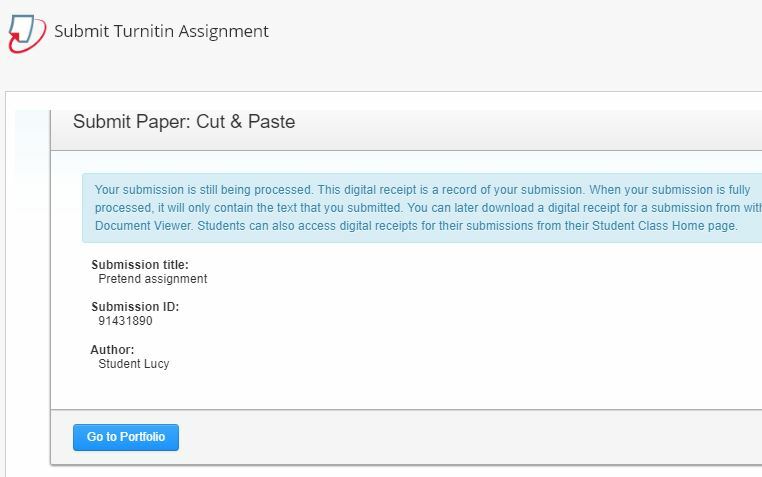 Unless you are instructed otherwise, you will always submit your assignment as a PDF. 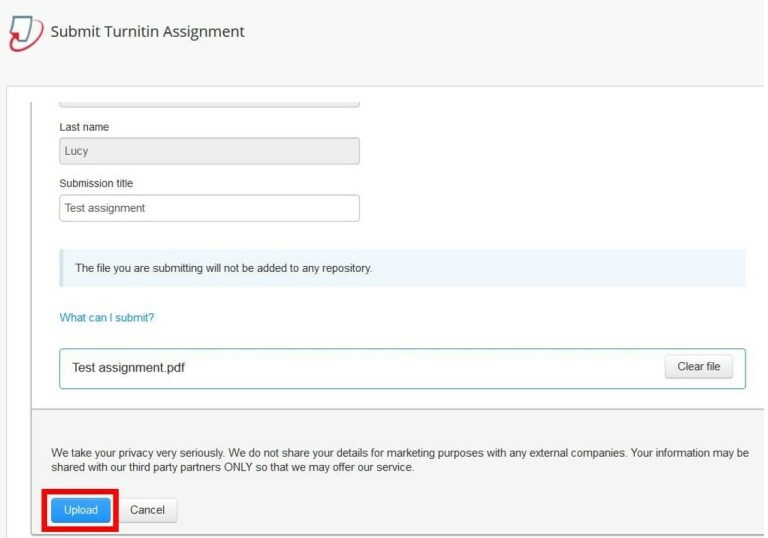 Log into Blackboard and navigate to your assignment within your Blackboard course, usually on the Submission page on the left hand menu. Click the View/Complete link. This will take you to the Assignment Inbox. 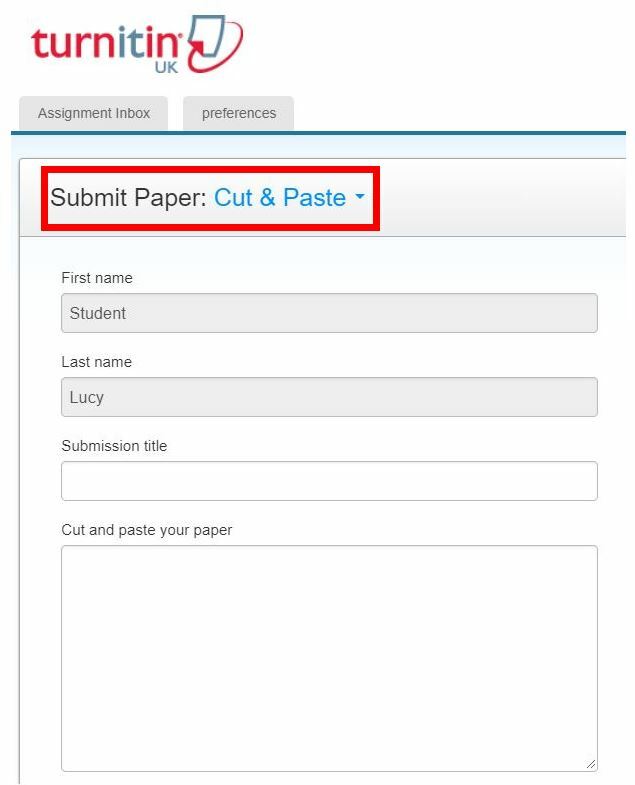 This is where you can view information about the assignment and submit. To submit a file, click the Submit button. Your name will have filled in if you are logged in as yourself. 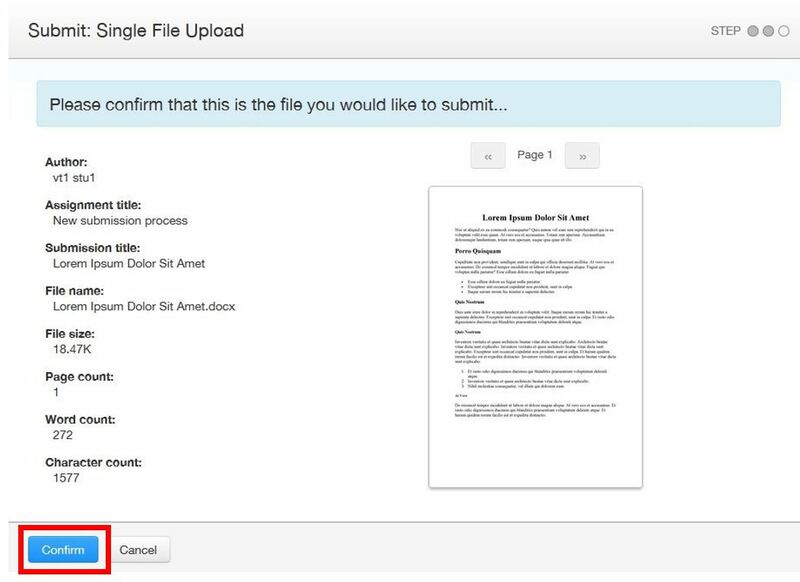 If you are submitting your assignment by uploading a document go to Step #6. 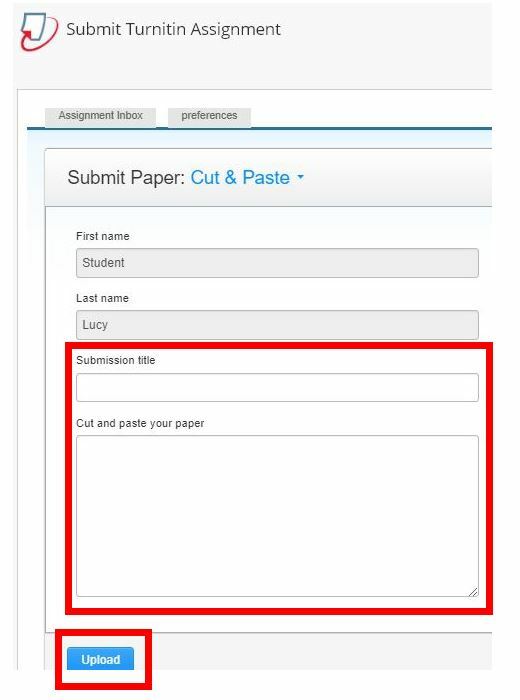 If you are submitting your assignment by copying and pasting text go to Step #12. Enter the Submission title.All students should follow the instructions on the submission page or student handbook of your school or programme for what you should enter. Normally you will be required to enter your candidate number. 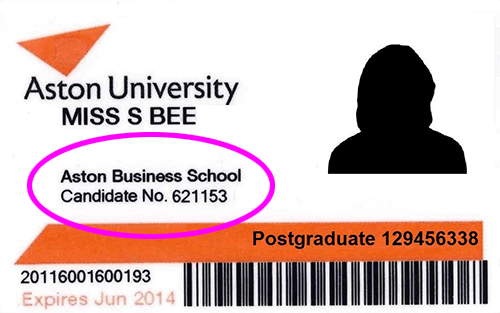 Your candidate number can be found on your student ID card. This does not complete the submission of your work! Make sure you complete the remaining steps below. You will now see information about your submission and a preview of your assignment. If you are happy this is the correct file, click Confirm. Your submission is complete when you see this message. Make a note of the Submission ID as this is a unique identifier for this submission. 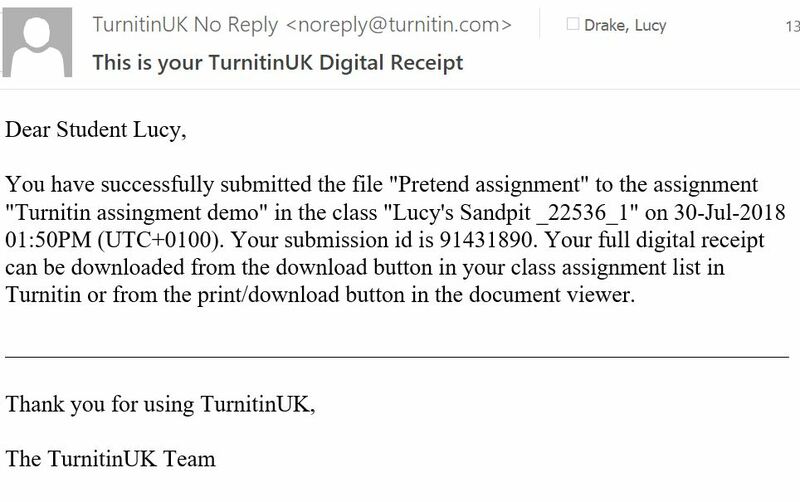 Turnitin should send you an email receipt as well. If you don’t get this, make sure you check your spam folder in your inbox. If the receipt isn’t there either, you are able to download a PDF. If you want to submit your work by pasting text, change the type by clicking the dropdown and selecting Cut & Paste Upload. Complete the Submssion title (see Step #5) and then copy and paste the text you wish to submit into the text box and click Upload. You will see this page confirming your submission. Go to the assignment inbox, see Step #2. Click the Download button next to the submission and choose Digital receipt. This will download a PDF of the digital receipt. 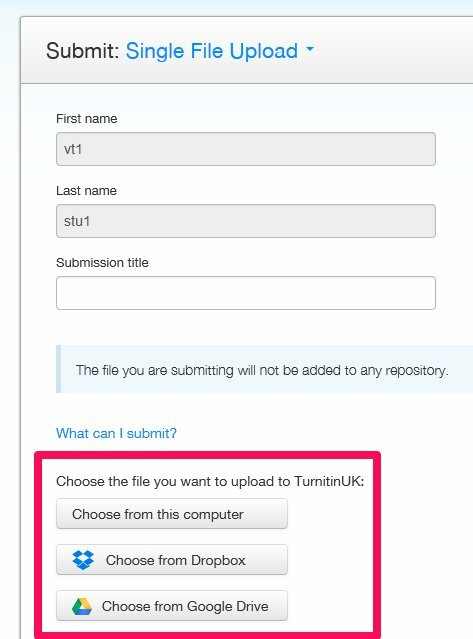 If submitting via Google Drive, work stored as a Google Document will automatically convert to PDF before submitting to Turntin. The maximum file size of any document is 40 MB. The maximum paper length of any file submitted is 400 pages. Text only files (i.e. files ending in .txt) may not exceed 2 MB. 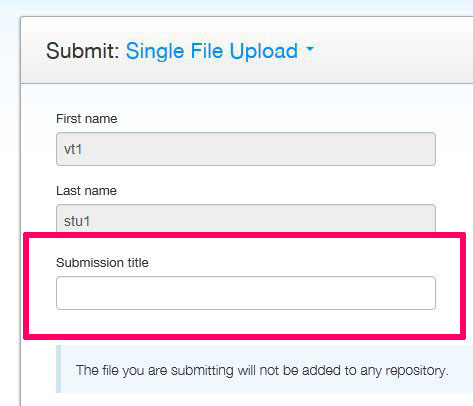 In the file upload method of submission Step #8 is critical. If the student does not click the final Confirm, the file will not be submitted. 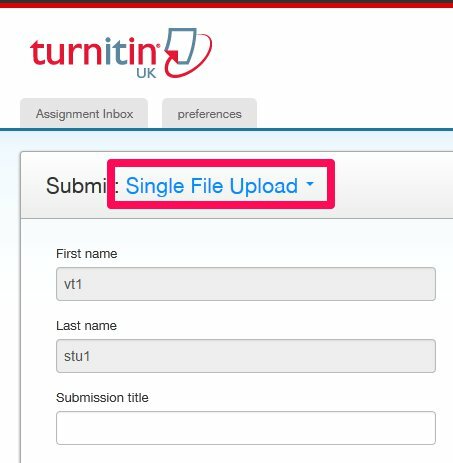 Only one file per student can exist for each assignment. Students who would like to submit multiple papers will need to either submit to multiple assignments or combine the papers into one file for submission.